When Money is Tight and Gas is Low, WCTS is the Way to Go! 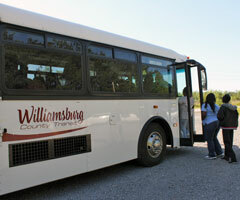 Thank you for riding Williamsburg County Transit System (WCTS). WCTS provides transportation to the residents of Williamsburg County, South Carolina 7 days a week with the exception of December 25th. 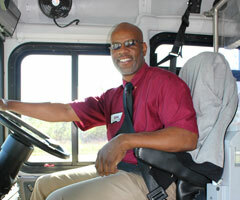 Medicaid transportation for clients that currently receive Medicaid benefits. WCTS services are funded using Federal Transit Administration Section 5311 funds, State Mass Transit (see SCDOT) funds and local funds. Copyright © 2015 Williamsburg County Transit System. All rights reserved.